SMBs are challenged with generating leads but even more so with nurturing their leads and increasing productivity. That’s where a converged CRM comes into play — converged CRMs are the new category of CRMs on the market. Many people are making the shift and for a good reason – they’re a single, affordable, integrated system for sales, marketing, billing, and support. Converged CRMs help you nurture your leads, close more deals and provide exceptional customer support. CRMs are there to help you manage relationships, increase productivity, and grow your business. Many integrated CRMs will sell you on these very things but disappoint you in delivery. Converged CRM features are built-in, work together flawlessly, and have a uniform look and behavior. Unlike other patched-together CRMs, all modules are integrated and work together seamlessly – there’s no steep learning curves or confusion involved. The ability to enter data once and avoid the dreaded “double entry” that other CRMs require make it easier for you to change information in one place and have it reflect everywhere. You can upload your contacts via CSV file into the CRM to make detailed notes. Often times, you’re on the phone talking with leads and taking notes but have nowhere to store them. This makes it hard to build a relationship with your customers but also makes it hard to track what’s been done. 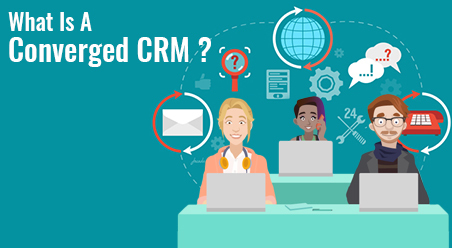 With a converged CRM, you can store comments and notes within the application from each of your calls which will help you better connect with customers in the future. Converged CRMs also allow you to create tasks for follow up. You can follow up with all the leads you’ve called using automated reminders to make sure you’re actually following up. Often times, we create tasks and never follow through with them – they just get added to the pile of a million other things. Being able to create follow up reminders allows you to stay on top of your leads, further build the relationship and close more deals. Other CRMs are vanilla platforms that don’t allow you to customize your work flows – which could decrease productivity and in turn lead to decreased sales. With a converged CRM, you can customize all modules to reflect your business practices which lead to more productivity on the team and increased revenue. One way to increase productivity is to create automated assignment rules. Assignment rules allow you to automatically assign new leads to your sales agents. When a call comes through the dialer, a new lead record gets created and assigned to a sales agent at the same time without you having to do a single mouse click. You save time because you’re not manually assigning leads to agents every single time a lead comes in. Instead, the CRM does the assigning for you allowing you to get more done. Converged CRMs also help you automate routine processes to help you focus on other things that require time. In a converged CRM, you can send out a drip campaign to nurture your leads or you can take time-based actions. Time-based actions allow you to send one email and wait for a certain time period before the system sends out the next. This helps you communicate with the leads based on their actions. This also helps you remain productive as you’re not having to do this manually. This can work well with a call campaign – you can use the dialer to stay engaged with the leads who’ve expressed interest and try to save other leads from falling through the cracks. Converged CRMs are the new way to get more done.